An Australian big data collation of decades of genetic studies confirms adaptation to climate change is underway in the animal kingdom. For the first time, researchers have the proof of climate adaptation through genetics at their fingertips, and can see hints of the qualities that lead to survival. A new online database offers public access to longitudinal drosophila data. Three decades of data now at the researcher's fingertips. Database reveals climate change is forcing species adaptation and hints at how humans can survive as well. If you were to pick a spot on Earth to study how climate variations affect a species, you couldn’t pick a much better spot than the eastern coast of Australia. Ranging from tropical conditions in the north, to temperate cool in the south, this locale offers scientists an ideal climatic span to assess genetic adaptation to climate change. And if you were to pick a species to track the impact of climate variability, you’d probably want to study the ubiquitous drosophila (fruit fly). Fruit flies (more correctly the ‘vinegar’ or ‘pomace’ fly) are a mainstay of genetic research, as they afford researchers a rapid review of genetic transmission through successive drosophila generations. For the first time researchers have brought decades of drosophila research into one conveniently accessible portal. 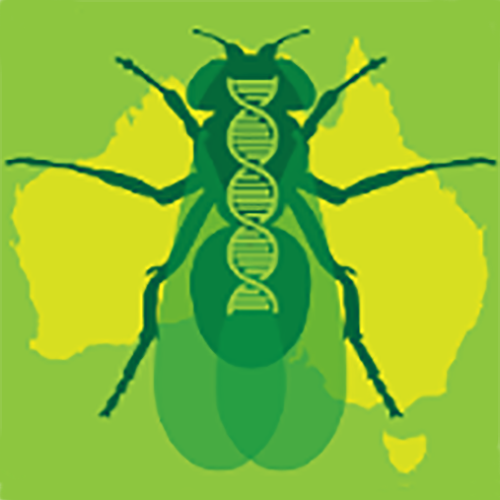 The Australian Drosophila Ecology and Evolution Resource (ADEER) database offers researchers the ability to browse three big data sources (clinal, distribution, and genomic) for the drosophila. ADEER contains records from field collections made between 1924 and 2013, a total of 103 data sets from 39 different studies published over the last 30 years. “It allows us to quickly see what the patterns for traits and genes look like, to look for similarities across species, to access the relevant data, and to use this information for comparisons to findings from other researchers working in different continents,” says Ary Hoffmann, professor of BioSciences at the University of Melbourne, and lead researcher for the Hoffmann group which published the database. In a study recently published in Scientific Data, Hoffmann’s team highlights the adaptations to climate change that ADEER is revealing. Among the most significant insights proffered is how a species’ ability to adapt to climate change relates to body size and resistance to thermal extremes. Studies of body size bear out the dawning wisdom that warmer conditions select for smaller body sizes generally, as indicated by observations that smaller sizes predominate in the northern (tropical) populations. The ability to resist thermal extremes indicates species possess the ability to become more or less heat resistant as the climate may dictate. The database also reveals that climate adaptation genes can be locked up in one part of the chromosome, and adaptation may occur by changing the frequency of a whole group of such locked up genes. All datasets in ADEER are publically available through the attractive web interface. Researchers can opt for their preferred national research and education network to browse the data sets at a lower latency and with higher data integrity assurance than is available through the commodity web. The user-friendly genome browser allows a researcher to look for any gene or sequence and easily share with colleagues with a link. ADEER also provides a tremendous illustration and visualization tool for educators, so teachers can use the database to show students evolutionary change in action. While the study’s implications for humanity remain indirect, ADEER does “help us think about the qualities that make species adaptable versus threatened, and it does show direct evidence of the fact that animals are already adapting at the genetic level to climate change,” Hoffmann says. For more information about the drosophila resource, please visit the ADEER website. Science at your fingertips. Making an internationally-significant life science data collection openly available, the ADEER database collates decades of drosophila studies so that researchers finally have evidence of climate adaptation through genetics at their fingertips. 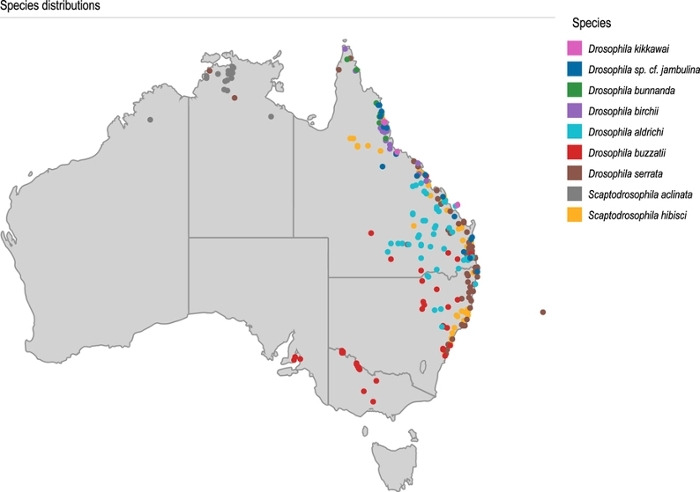 Explore this interactive map of Australia to see drosophila field surveys, experimental data on their climate stress response, and valuable, recently-produced whole-genome and population-level variation data. Courtesy Ary Hoffmann.